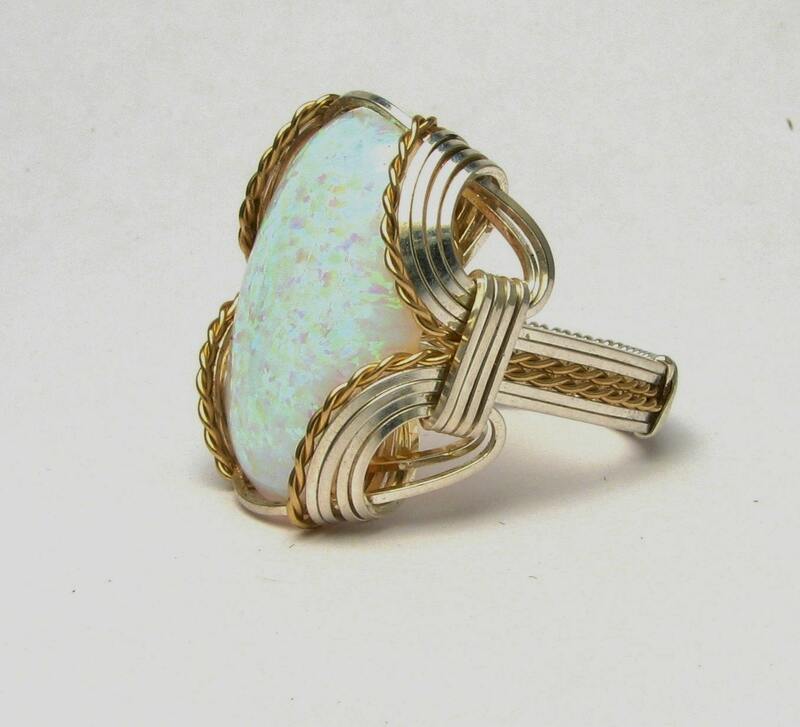 October's birthstone - Beautiful handmade two tone wire wrapped synthetic opal ring using 14kt yellow gold filled hand twisted , and sterling silver sq square wire, personally handcrafted. 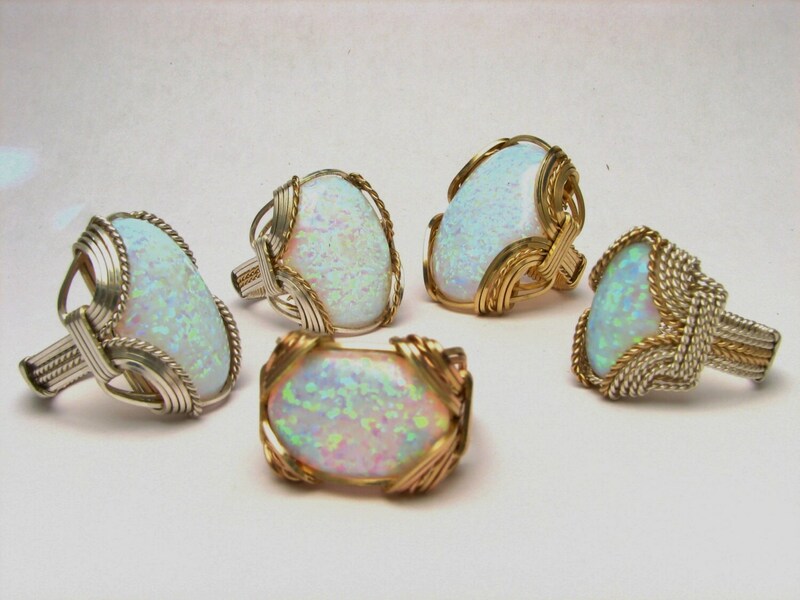 Synthetic opals exhibit the same fire and beauty of a genuine opal and are less likely to crack and chip as natural opals. 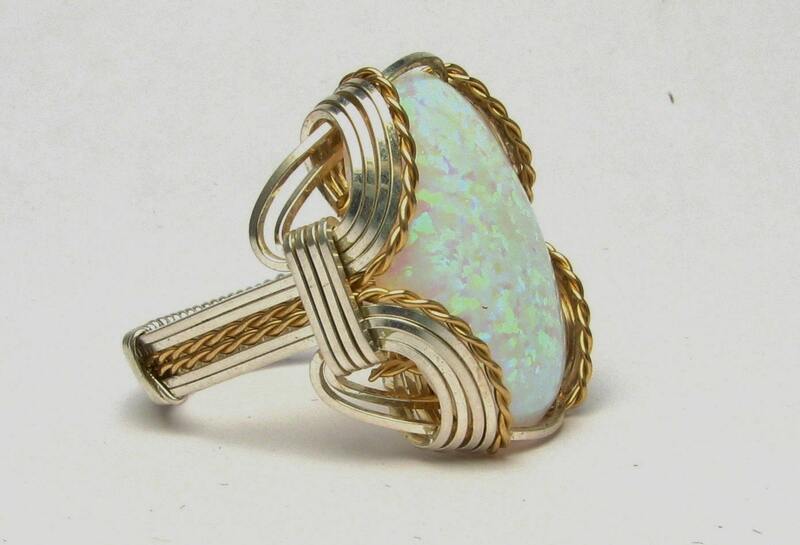 If you would like this gem in 14kt white or yellow gold, please send a message with what you would like and we will send you a quote. 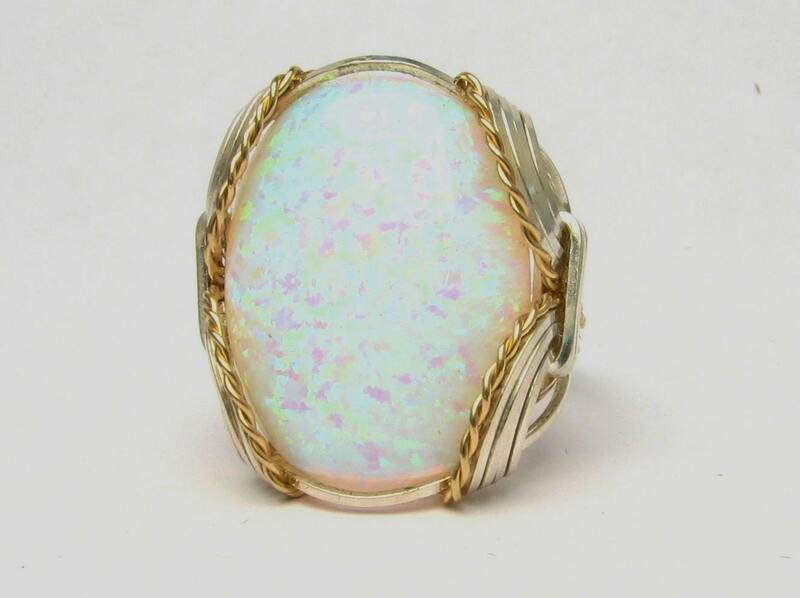 Keep an eye out in our shop for more unique and one of a kind items we will be presenting made from our personal private gem collection! 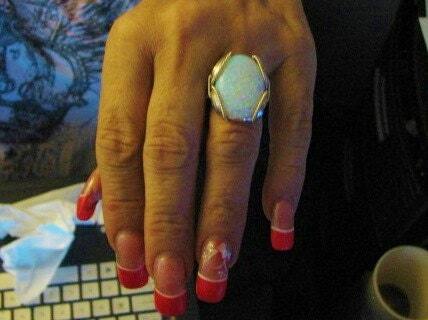 This ring is made with a synthetic gem. I made it myself, so if you see a setting you like and want a different gem in it, I can put in another one as they are not finished. I can probably do it for the same price or real close. I can make these either in gold or sterling silver; just email me for a price. Jill and I started off just selling gemstones as a hobby. Now this has become my full time job, so I started making my own rings and selling them. I facet gems from rough, so if you ever need anything made I would love to help.